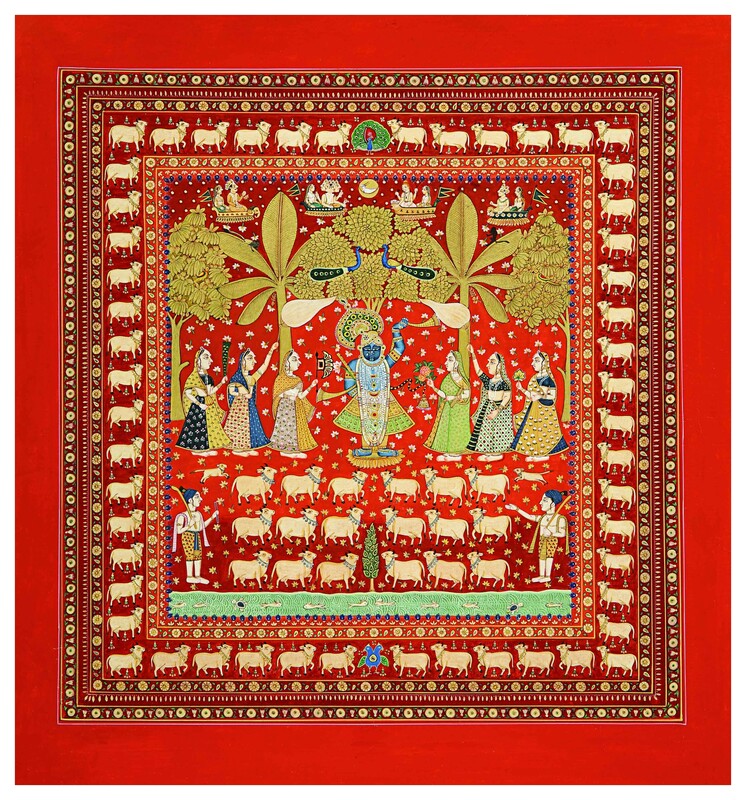 Pooja Singhal is proud to present Pichvai: Tradition & Beyond, an exhibition that showcases the contemporary interpretation of Pichvai works that will bring the traditional Indian art form into a new avatar. The exhibition will open with a private preview on Thursday 5th April 2018 and will be open to the public from 6th – 15th April 2018 at Famous Studios, 20, Dr. E Moses Road, Mahalaxmi, Mumbai. 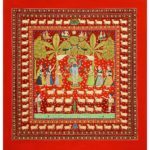 Pichvai is a luxuriously detailed hand-painted textile traditionally hung behind the idol of Shrinathji, an incarnation of Lord Krishna. Worshipped by the Vaishnavite sub-sect of the Pushtimargis, the small temple town of Nathdwara, near Udaipur in Rajasthan, is home to the shrine. 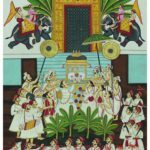 The evocative nuances of this deceptively simple painting style hides layers of spiritual significance, symbolism and varied visual imagery depicting the many seasons and moods of Lord Krishna through the year. Pichvai art is in the process of undergoing a renaissance through the foundation, Tradition & Beyond. The objective is to contemporize the art form in order to create a more accessible market for younger generations and contemporary cultural consumers. Recognising the need to create a platform to support and sustain the few remaining supremely skilled painters who learnt the rapidly declining tradition from a long line of past masters, gave birth to the idea of creating Pichvai Tradition & Beyond atelier which is critical to preserving their rich heritage as well as to sustaining the livelihoods of artisans.